SAINT John Houghton Catholic Voluntary Academy pupil Ben Langfield is celebrating fantastic GCSE results today. Ben scored an impressive four grade 9s and six grade 8s and is delighted with his achievements. Ben will now go to George Spencer Academy Sixth Form to study history, English literature and economics. 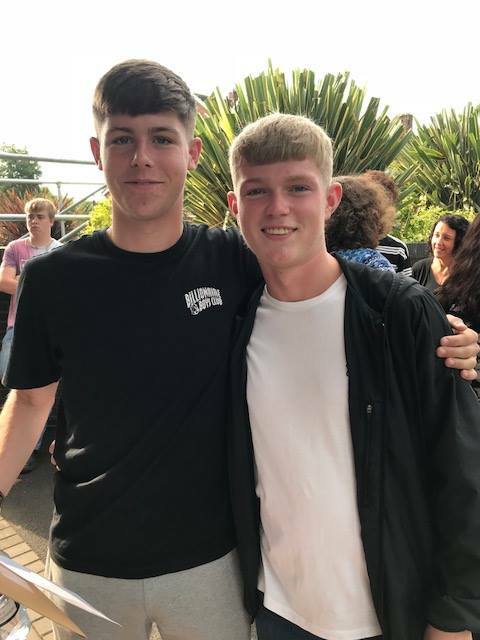 Ben’s results reflect the good results at Saint John Houghton CVA this year with the school’s Attainment 8 figure now standing at 4.9, compared to 4.6 in 2017. A total of 80 per cent of students achieved a 4 or above in English, 32 per cent of students achieved a 7 or above in English and a total of 72 per cent of students achieved a 4 or above in English and Maths. Seventy-seven per cent of students achieved a 4 or above in Maths while 77 per cent achieved a 4 or above in Science (with students achieving at least two grades in Science). This means that in English, Maths and Science at least 77 per cent of students achieved a 4 or above. 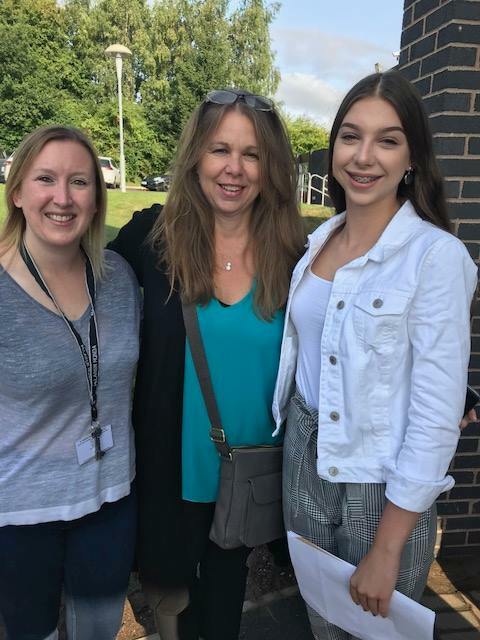 The school’s former head girl Amelia Dawes was delighted with her two grade 9s, three grade 8s, three grade 7s, a grade 6 and an A* in product design. She hopes to follow her passion and eventually go on to study performing arts after she has completed A levels in biology, product design and dance at Bilborough Sixth Form College. 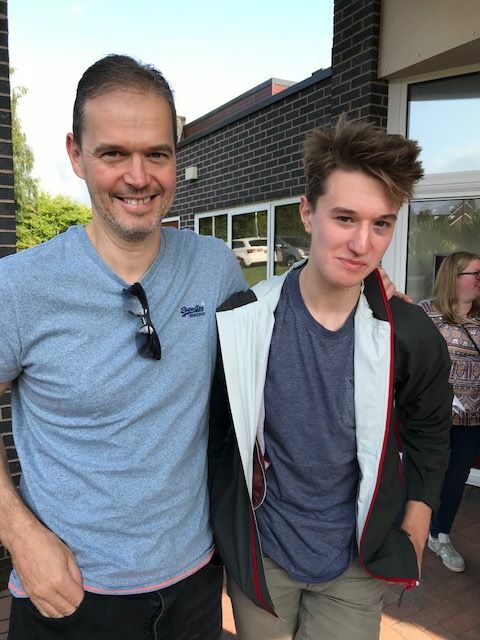 Louis Smith made the most progress from the end of KS2 to the end of KS4 of any of the year group and was over the moon with his results of two grade 8s, five grade 7s and A in business and a grade 6. Louis is also going to Bilborough Sixth Form College to study chemistry, geography and economics. Oliver Smith, whose teacher made him a plastic 3D finger to help him type after the teenager lost the use of his arm in a freak bike accident in April last year, passed his science, product design and engineering. He has now regained use of his arm and is now doing a traineeship as a bathroom and kitchen fitter with Aquarius Home Improvements. “I’m pretty pleased with what I passed and I worked hard for it,” said Oliver. Ellie Chadburn-Tennyson has her sights set on a possible career with the UN and she is on course for that after achieving two grade 9s, to grade 8s, five grade 7s and a grade 6. She also took German GCSE a year early at a Saturday school and achieved an A. 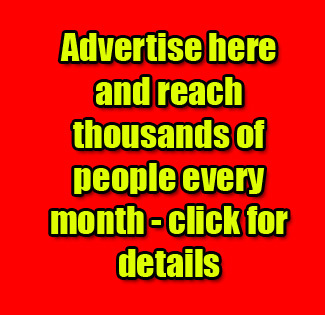 She is hoping to go to Bramcote College Sixth Form to study German, French and history. Former head boy Angus James said he was “quite happy” with his grades of four 8s, three 7s and three 6s. He is now going to study maths, physics and geography at Littleover Community School Sixth Form. “There were some subjects where I expected I would do well but some I didn’t think I would do as well as I have,” he said. Taya Joslin said she was shocked but happy with her results of four grade 8s, three grade 7s and two grade 6s. The 16-year-old will be going to Ockbrook School to study sciences as she is keen to pursue a career being a medical physicist. Molly Fowkes scored an impressive two grade 9s, two grade 8s, three grade 7s and three grade 6s. “I’m so happy and surprised that I got so many 8s and 9s,” she said. Molly is now going to George Spencer Academy Sixth Form School to study biology and chemistry and either RE or English. Joan McCarthy, head teacher at Saint John Houghton CVA, in Kirk Hallam, said she was delighted with this year’s results.